Finding the right fabric has its challenges. It is the medium in which a visionary weaves their message; the constant among so many strings, buttons and embellishments. Knowing and listening to your demographic is key. Each cultural sect within a highly diverse community poses risks that the product will be misunderstood and under-appreciated. Take Arizona Opera’s community for instance and its high Mexican and Latino population – one can imagine the inherent divide in utilizing a predominantly white American and European musical canvas as a source of inspiration. However, with the right minds and collaborative effort reaching out to such diverse audiences, the rewards obtained are unexpected, extraordinary and often vital. 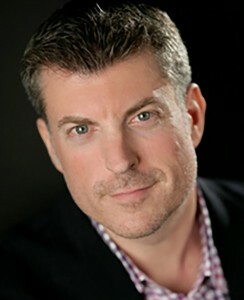 We caught up with recently crowned Ryan Taylor of the Arizona Opera for a few words on his dynamic community and mission in Phoenix. 1. What is the most rewarding part about being at the helm of Arizona Opera? The most rewarding part about working with Arizona Opera is the impact we’re having on the lives of our community. Our Board is excited and inspired by the changes we’re making and the accolades it is generating. Our staff is an active participant in our success at every level on a daily basis – they are the heart and soul the organization. I believe that our artists feel accomplished and appreciated. The students we introduce to musical storytelling and culture in general are full of exuberance for new forms of expression. Our audiences have loved taking spectacular journeys with us this year. Being along for the ride and watching the ripple effects of our impact is more rewarding that I could’ve imagined. 2. What is the most challenging part? I think the most challenging part is making sure that all voices, opinions, and personalities are heard. Leading a publicly held organization means that there are many stakeholders at the table, and balancing the cacophony of voices can be difficult! 3. What is the average Arizona Opera goer like? I’d hate to think that we have an “average” opera goer. Our audience seems to be diversifying with each day and week that passes. Of course we have traditional opera lovers who are mature, and well steeped in operatic convention, but we are also fortunate to have a growing number of young professionals and students of all ages who are intrigued by our unconventional methods of vocal storytelling. 4. How would you describe the community in Arizona? Arizonans are fearless, and unapologetic. 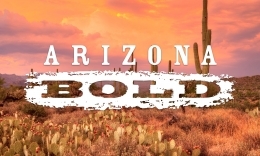 Our new artistic initiative, Arizona Bold, is in honor of the men and women who set out to create a society in one of the harshest terrains anywhere in the world. We are still a community who is adventurous, edgy, sharp, and eager to make steps forward together! 5. Is it difficult to find ways to engage a diverse Southwestern community? It’s not at all difficult to engage our diverse communities – and they are delighted when we make the effort to extend ourselves, and our art, to them! We recently changed our mission statement, and think of ourselves as a community-building organization rather than simply as a musical or cultural entity. 6. Giving some specifics, how are you addressing such challenges? Our programming will continue to reflect some of the lives, challenges, and successes of the diverse populations that live in Arizona. With that, our heritage festivals and educational activities are providing an important step towards fuller integration in Phoenix, Tucson, and all the other neighborhoods we serve. 7. How is Arizona Opera important as a civil service? It really is incumbent on us as one of the state’s leading cultural institutions to lead the way for civil discourse by using our art form as a catalyst for discussion and greater respect for our friends and neighbors. Our country used to place tremendous value on solid education and deep cultural impact. Too often cultural activities are used as polarizing components of political campaigns. Those who spend a bit of time with us find it easy to grasp our civic value in a populous state whose community is growing and rapidly changing! 8. What do today’s opera companies lack most? Sometimes, I believe that what most cultural organizations find in short supply is time. We know how to produce an annual season, and we have developed coping mechanisms for making sure that doors stay open, performances take the stage, and community programs remain viable. However, we lack the time required for necessary reflection, long-term strategic planning, and future forecasting so that we stay ahead of forthcoming challenges. 9. If you had to leave Arizona Opera in 5 years, what legacy would you be proud of leaving behind? Regardless of the various jobs I have held, I find that I am fulfilled when I depart if I believe that I’ve had a positive impact on the lives of those around me during my tenure in that position. I would hope that when the time comes (as it inevitably must – one way or another!) I’m able to say that together, we created incredible opportunities for artists, donors, staff, and our community at large to feel better connected. And I hope to leave behind an effective roadmap for the next leader to continue that important work through our art. Phoenix has a sharp, edgy and confident Taylor indeed. We look forward to observing the collaborative and cultural fabric you cultivate in Arizona. Help Arizona Opera achieve its 50 for 500 fundraising goal in May 2015. Your tax-deductible gift will support Arizona Opera’s main stage performances, our education and outreach programs and develop new talent through our Marion Roose Pullin Studio Artists Program. Please consider helping Arizona Opera reach these milestones! 50 States – Receive donations from individuals representing all 50 of the United States. $500,000 – Raise $500,000 by June 30, 2015. 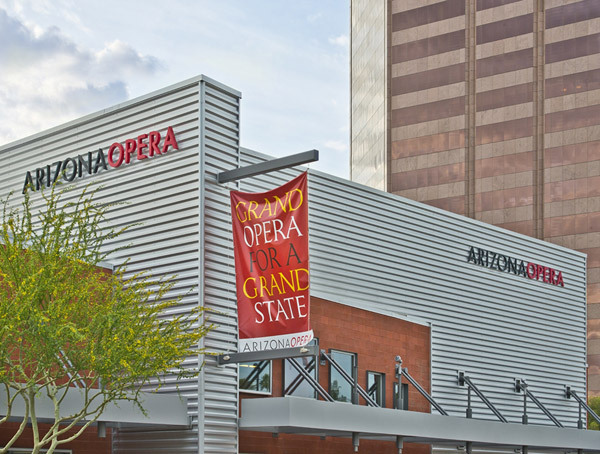 2,000 – Total number of donors at Arizona Opera by June 30, 2015.